Give the gift of fun! 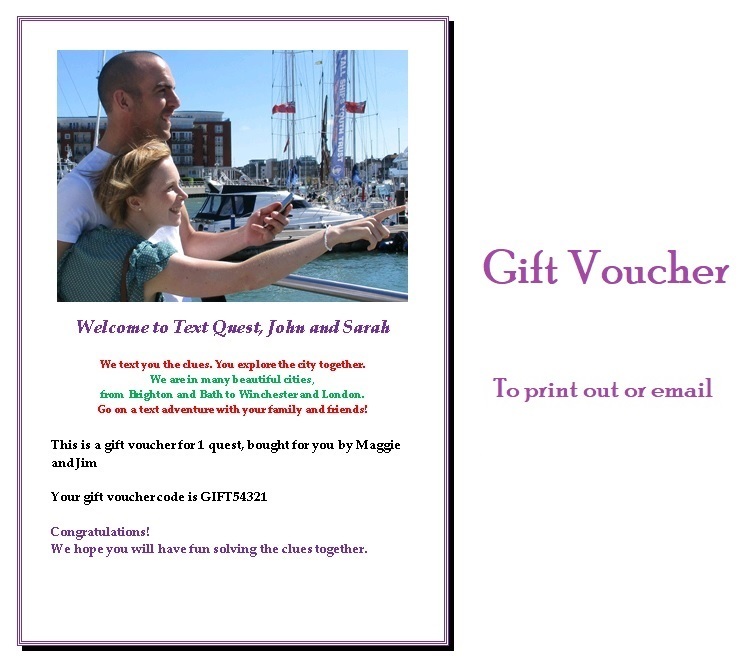 You will receive a voucher that can be printed or sent by email. Please give your name. This will be used in the message. Please give your email address. This will be used to send your voucher. Please give the name of the recipient. Details of how to use the voucher are included. Please note that it may take up to 24 hours to send your voucher. We will do our best to send it within an hour but we cannot guarantee this.